Due to all the delays with the impending release of the Into War E.P. we’ve gone back to some recordings and decided to release a demo CD of a couple of re-recordings and an older song that’s never been recorded, apart from live. As you can tell from the cover we’ve not really taken this recording to seriously as we’ve used a very familiar font and the recordings them selves aren’t of the quality we’re striving for on the E.P. and in one case we did the vocals in one take. 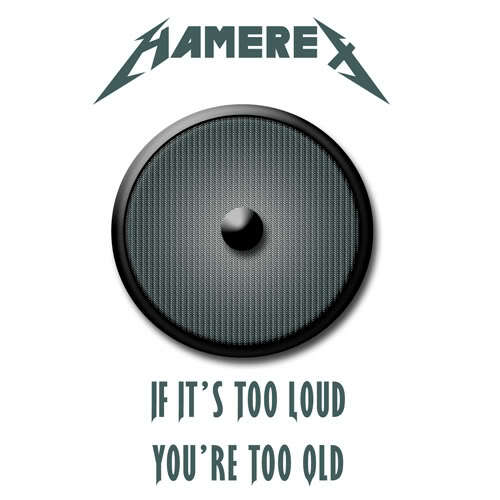 But for you all, and for FREE on http://www.myspace.com/hamerex enjoy the If It’s Too Loud You’re Too Old Demo. Also available from the official Hamerex website.